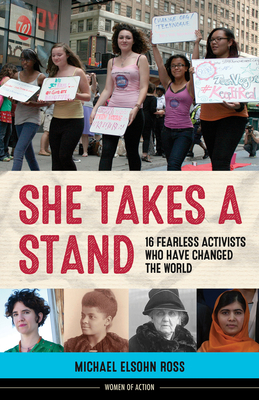 This inspiring collection of short biographies features the stories of extraordinary figures past and present who have dedicated their lives to fighting for human rights, civil rights, workers’ rights, reproductive rights, and world peace. Budding activists will be inspired by antilynching crusader and writer Ida B. Wells, birth control educator and activist Margaret Sanger, girls-education activist Malala Yousafzai, Gulabi Gang founder Sampat Pal Devi, who fights violence against Indian women, Dana Edell, who works against the sexualization of women and girls in the media, and many others. Michael Elsohn Ross is a naturalist educator and award-winning author of over 40 books for children and young adults, including A World of Her Own and Salvador Dalí and the Surrealists. He lives and works in Yosemite National Park.